Founded in 1990 by three of the board members of the École de joaillerie et de métaux d'art de Montréal (Jewellery and Metal of Art School of Montreal), Trifac Inc. specializes in the conception and production of jewellery, decorative objects, miniature sculptures, trophies and its latest line: miniature funeral bronze urns. What best describes Trifac's product is its unaccustomed shape or size and also and mainly, its authenticity, its refinement and the very high quality of its finish. This constant concern for quality as lead Madeleine Dansereau to be commissioned to create the complete series of medals of the highest and most prestigious recognition awarded by the Prime Minister of Quebec: the medals of Knight, Officer and Grand-Officer of the National Order of Quebec. When the company was founded, Trifac Inc. has been commissioned to produce those medals. Madeleine Dansereau has also designed the trophy for The Canada Awards for Excellence and commissioned Trifac to produce the gold plated bronze model. Since 1990, Trifac Inc. also reproduces a series of trade Jewelry, replicas of an authentic collection from the McCord Museum. In 1992, Trifac Inc. has launched its own collection: a series of mini-busts and miniature sculptures of famous historical persons from the early Canadian colony. At the end of 1995, a second and international series of mini-busts, somewhat larger than the previous ones, was launched, selecting Napoleon as the first model. This delicately detailed bust, created by Jean-Eudes Germain, has received approval from the president of the International Napoleonic Society, the late Ben Weider. In constant search for new ideas and new concepts, Trifac inc. made quite an impression at the Canadian Funeral Show by launching in May 1996, a new concept with its first line of 24 different models of miniature funeral bronze urns. During that same period, The Societé de développement industriel du Québec (now known as "Investissement Québec") commissioned Trifac inc. to produce of limited edition of a miniature sculptures to be given to the top twenty-five companies as a token of appreciation for their affiliation with the SDI during its first twenty five years of operations. 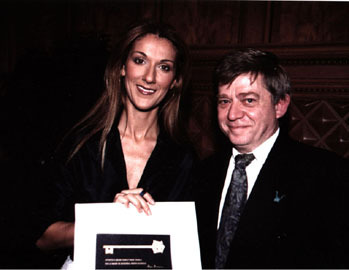 In 1999, the Mayor of Montreal, Pierre Bourque, has offered Céline Dion and René Angélil the first official key to the City designed by Michel Larbrisseau and produced in Trifac's studio. By June 2000, the BDE-BELL group has commissioned Trifac Inc. to reproduce, with specifications not to make a mold of it, the finely crafted desk bell used as from 1897 to call open the meetings of the Board of Directors. The replica of the original bell has been produced by Jean-Eudes Germain and has been offered to the retiring fourteenth President of Bell-BCE, Mr. Lynton Ronald "Red" Wilson as a testimony of his extraordinary contribution to Bell Canada and BCE Inc. This Award, so closely related to Madeleine Dansereau, co-founder of the company, becomes a testimony of the spirit and dynamism she has infected her close partners with and for the results obtained. In November 2002, Hygeco Paris and Trifac Inc. have signed an agreement for the distribution of Trifac's Funeral products throughout Europe. During that same period of time, Trifac's four designers have been commissioned to create the SODEC trophies to be awarded for Excellence at exportation in five different artistic fields. The University of Montreal together with the Wilson Foundation requested Trifac Inc. to create a bronze medal portraying the principal foundation's donator. 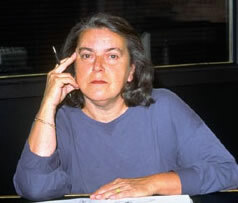 Trifac Inc. also co-signed the design of the monument and also assumed the responsibility for its production. Following a first experience in promoting Trifac's Napoleon collection in 1999, the Stewart Museum has requested Trifac to create a complementary collection of miniature items and jewels directly related to their 2003 exhibition: "Josephine, Napoleon's love. Both collections were later transferred for sale at the boutique of the Louisiana Art and Science Museum in Baton-Rouge, U.S.A. In May 2005, after having filed an application for an international patent, Michel Larbrisseau presents his brand new concept: the reliquary for a lock of hair. This first collection of 10 models perfectly fits within Trifac's assortment of Funeral products, as much because of its quality, its diversity and the miniature dimensions of each model. In 2006 six new models of reliquaries have been added to this constantly growing collection. In October 2005, the Canada's Telecommunication Hall of Fame has commissioned Trifac to create a Statuette Award inspired by an old model of telephone called "“The Daffodil". This work of art will be offered each year to a certain number of women and men who have played a key role in the telecommunication industry. The first of these statuettes has been awarded posthumously to Mr. Graham Bell. 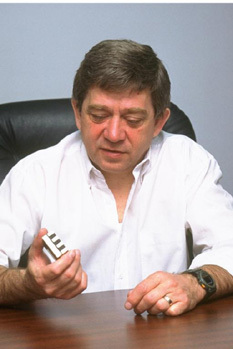 In december 2007, Jean-Eudes Germain stepped down from his administrator's position in order to devote his time entirely to design and conception of his and Trifac's models. Trifac Inc. also creates and produces custom made medals, trophies, paperknives, paperweight, pins, etc. for corporations and associations, restores antique gold or silver work for museums. Linked to a network of specialists in closely related trades such as enameling, stone setting, plating, stamping, engraving, etc, Trifac can provide its customers with a very large range of products and services. Trifac's studios and workshop, located on the north shore of the Lachine canal can count on their renowned designers and jewelers Jean-Eudes Germain and Michel Larbrisseau and its experienced jewellery technicians to create and produce every single model of Trifac's diversified collections. 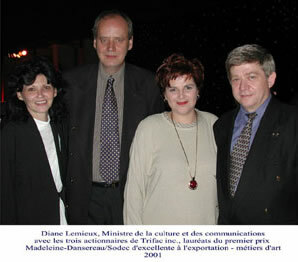 Nicole Larbrisseau-Kies, Brigitte Piquette, Michel Larbrisseau and Patrick Larbrisseau, eng.